Are you looking for the FIFA 19 soundtrack? You may find it here. All the Official FIFA 19 songs in a single page. ℹ️ This song made part of the FIFA 19 Beta. FIFA has traditionally been gaming’s foremost international showcase for new artists of every genre and with FIFA 19, EA have once again created a soundtrack that will enable millions of fans worldwide to discover new music they might have never heard otherwise. FIFA 19 soundtrack represents globalized music at its very best. FIFA has been credited with various stars on a global scale and now commands such status that featuring on the playlist is a highly sought-after spot for up-and-coming bands. For many players of the game now, EA Trax is effectively their Spotify – the playlist of songs they will hear more than most others for the coming year. With a spot on the EA Trax listing so prized, the process of putting together each year’s playlist is a strenuous one. 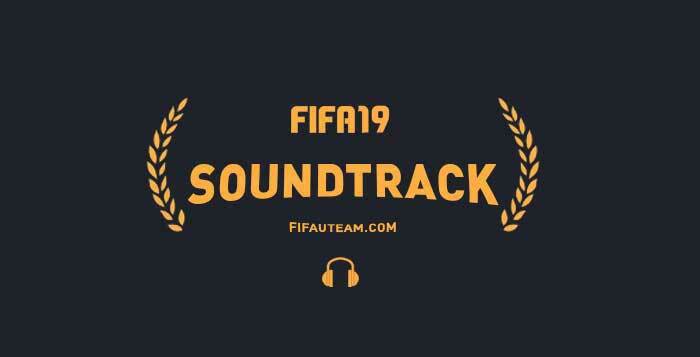 Share in the comments your thoughts about the FIFA 19 soundtrack. It isn’t bragging if it’s true: the largest sports videogame franchise in the world also has the most influential global soundtrack series in video game history. When the goal is to deliver a truly international soundtrack that reflects the World’s Game, you have to rewrite the rules with every new release. For FIFA 19, the choices are bolder and the vibe is stronger. Just like the game itself, the excitement around the soundtrack is always unpredictable, unprecedented, and 100% undeniably FIFA. ☑️ Hot tracks from superstars like Childish Gambino, Gorillaz, Logic, Jacob Banks, Crystal Fighters, and supergroup LSD (Labrinth, Sia & Diplo). ☑️ New music from Scotland’s award-winning trio Young Fathers, UK neo-soul collective Jungle, and Aussie indie stars Mansionair. ☑️ Buzzworthy breakthrough artists, like American singer-songwriter Billie Eilish, Manchester grime rapper Bugzy Malone, London soul man Stealth, German producer/performer NoMBe, UK rapper Octavian, Oslo DJ Bearson, French-American rapper Bas feat. J. Cole,and UK singer-songwriter Sam Fender. ☑️ The eagerly-awaited final chapter of The Journey features a gorgeous, dramatic original score by Academy Award® winner Hans Zimmer (The Lion King, Gladiator, The Dark Knight Trilogy) and Lorne Balfe (Pacific Rim Uprising, Mission: Impossible – Fallout). This year, FIFA 19 pre-orders will receive access to all-new Special Edition FUT kits from Imagine Dragons, CHVRCHES, Logic, Jungle, and Brazilian MC Emicida. Jungle new album “For Ever”will be released 14.09. Sun Silva tweeted today that their track will be streamable from 3.09. Everything else at first will be available on 28.09 when you buy FIFA 19. I remember you from FIFA 17 and FIFA 18 soundtrack posts! Your comment was a great addition to this page. Thank you! This soundtrack is actually pretty poor so far. The only song that fits FIFA so far is Love of the Game. Can I please know the sone that featured in the journey champions Fifa 19 trailer ?